Welcome to the Weatherford ISD Child Nutrition Department! 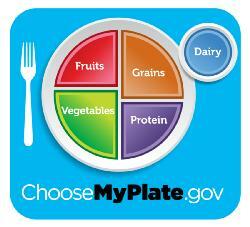 The mission of our department is to provide healthy, appealing food to encourage good nutritional choices! Our meals and snacks follow the Dietary Guidelines for Americans, and we support you in your efforts to live a healthy, active lifestyle. We hope you will find the website information helpful to you. Our mission is: "Feeding the Future... Today." The mission of the Weatherford Independent School District is to teach, challenge and inspire each student in a safe, nurturing environment. Your children are the most important reason that we exist, and we love to serve them! 2. Online with a debit or credit card for a convenience fee, 24 hours a day, through My School Bucks account. Please have your child's ID number available. If you have any questions about your My School Bucks account please contact them directly. You can apply any time during the school year for free or reduced price student meals. 1. A printed meal application form. - One application is sent home in every student packet on the first day of school or at enrollment. We cannot accept faxed applications. Only original signatures can be accepted. If a completed application is not received and processed by the Child Nutrition office within the first 30 days of school, the student's meal status will change to "full pay". They can be completed online or paper applications are available at the school offices, the District Services Building at 1100 Longhorn Drive, or at the Child Nutrition Office. We appreciate your patronage! Please feel free to contact us or come by our office. (b) This subchapter does not restrict what parents may provide for their own child's lunch or snacks. Parents may provide FMNV or candy items for their own child's consumption, but they may not provide restricted items to other children at school. A school may adopt a more restrictive rule, however, as local policy.